It was a joy to welcome the children from Woodpecker and Robin classes at Westfield School, Leominster and to show them round the farm. 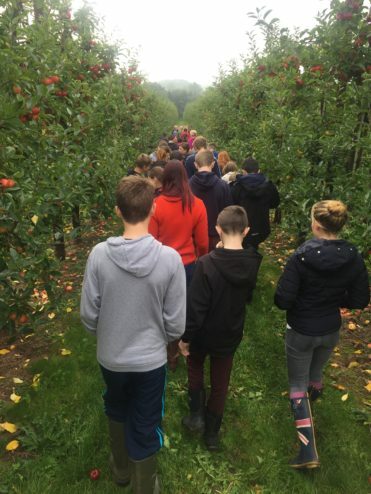 Unfortunately, the weather wasn’t kind enough to us to let us have our picnic lunch outside but we did manage to walk around the apple orchards and give everyone a delicious juicy apple to eat after their walk. We also had fun collecting conkers.